Announcing Our 2017 Livable Communities Awardees! Each year, Futurewise presents its Livable Communities Awards to programs and projects that are helping to make Washington State a better place for all. This year's awards will be given out at our Spring Breakfast this Thursday, March 2 (register here), but here's a sneak peak of our dedicated and diverse group of awardees! Photo courtesy of Kittitas County. Last year, the Washington State Supreme Court handed down a landmark decision in Hirst v. Whatcom County. It clarifies counties’ existing obligations to ensure that as they plan for new development in rural areas, there is adequate water available to accommodate the new homes without impacting neighbors’ wells, senior water rights, or the water that flows in nearby rivers and streams. Some counties, like Kittitas, already been working to better plan for development--and the related impacts on ground and surface water--for quite some time. In fact, it was two years ago that Kittitas County implemented regulations requiring mitigation for development impacts on the Yakima River, and initiated a public water bank for single-family residential homes in rural areas. Talk about ahead of the curve. These types of sustainable solutions can serve as a model for addressing water availability issues state-wide. Photo courtesy of King Conservation District. 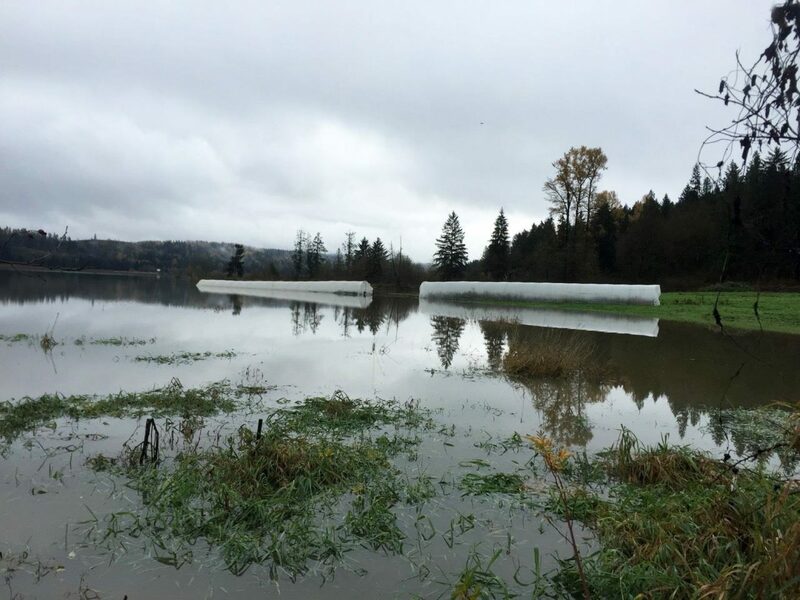 Over the past several decades, much of King County’s best farmland has been negatively impacted by poor field drainage—a threat compounded by neighboring urbanization, which escalates the volume and speed of storm water runoff. As a result, farmers need help maintaining drainage ditches and culverts to improve field drainage. Drainage increases productivity, enables the planting of higher value crops, and expands grazing for livestock. In 2015 and 2016, the King Conservation District—with funding from the King County Flood Control District and in partnership with King County Agricultural Drainage Assistance program—worked to clear more than 5 miles of impaired drainage channels in the Snoqualmie Valley, Sammamish Valley and the Enumclaw Plateau, resulting in an additional 149 acres of new production land and 458 acres of enhanced production land, cementing a spot in the state as a real protector of our natural resources. Photo courtesy of Roosevelt Neighborhood Association. In 2016, regional voters approved an extraordinary $54 billion transit investment that will shape transportation and land-use patterns for the next 25 years and beyond. The light rail extensions that are part of the transit package will help to reduce traffic congestion and greenhouse gas emissions, but only if population growth and job centers are concentrated in and around the new transit stations. 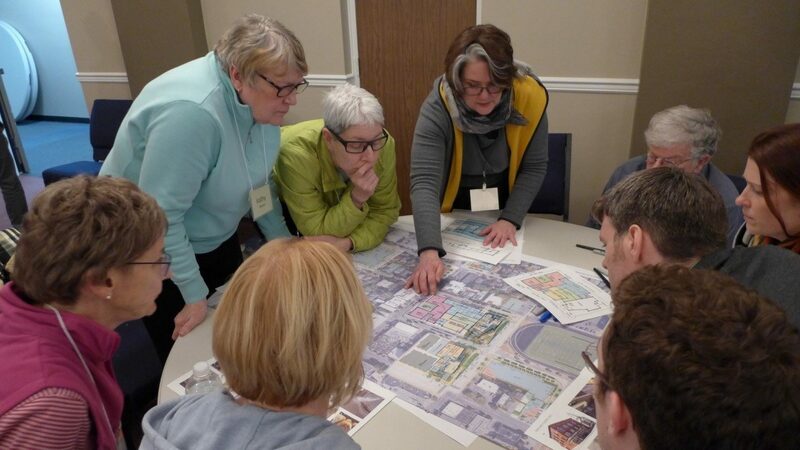 The Roosevelt Neighborhood Association is taking cues from lessons learned in other transit station planning processes across Seattle, and is driving an inclusive process for planning around the new Roosevelt Station that encourages affordable housing, sustainable design, and a focus on community principles. Their work is only just beginning, but their approach serves as a model for other neighborhoods that will soon be touched by transit access. 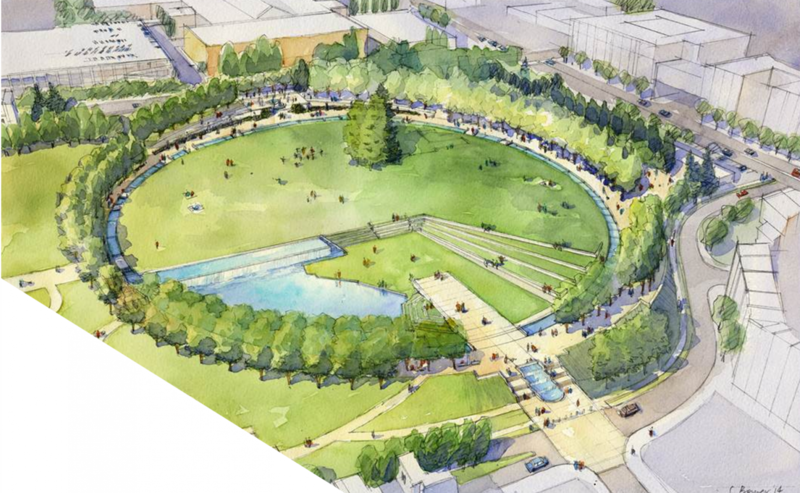 Rendering courtesy of City of Bellevue. Too often, urban density takes precedence over other valuable assets that contribute to a community’s sustainability, vibrancy and livability. In 1983, three gentlemen in Bellevue recognized the once-in-a-lifetime opportunity, and community value, of advocating for a public park in the center of what would soon become one of the densest urban centers in the region outside of Seattle. As a result of their hard work, as well as a host of other partners and elected officials from the City of Bellevue, and the generosity of Bellevue taxpayers, today the Downtown Bellevue Park is 20-acres of natural respite for thousands of residents, tourists and children that use the park daily. The last segment of the park just commenced construction last month, which will expand the public space to almost 30 acres. Photo courtesy of Jonathan Lee and Subtledream Photography. A critical element of urban sustainability is access to healthy, locally grown food. Less than half of Seattle residents live in areas with close proximity to a farmers market or grocery store. The Beacon Food Forest - a volunteer-built and operated permaculture project in Seattle’s Beacon Hill neighborhood, and the largest food forest on public land in the United States – aims to close that gap. Created on a former grassy area on unused Seattle Public Utilities land, it was initiated as a class project in 2009 and later gained tremendous community and city support. Now, it spans almost 2 acres, has been approved for an additional 1.75 acre Phase 2, and can expand up to a total of 7 acres - an urban oasis in the middle of Seattle’s most diverse zip code. The land features fruit and nut trees and annual and perennial vegetables and plants—all grown organically with many areas open for anyone to harvest respectfully. Since its 2012 groundbreaking, thousands of people have helped turn the vision into a reality, but it’s the hard work and dedication of its core group of volunteers to build an inclusive community and to make healthy food available to all that has enabled Seattle’s own food forest to be recognized worldwide. As you can see, these awardees are doing so much to make this state a more equitable, environmentally-friendly, inclusive, and livable place to call home. Stay turned for more on our 2017 Community Champion. Please join as our Breakfast Thursday morning! Register here.